If it accomplishes nothing else, the new documentary Call Me Lucky should bring some welcome attention to a man who’s been under the radar for the past few decades, mostly by his own design. The film’s subject is Barry Crimmins, a stand-up comic who made a minor name for himself back in the ’80s, when he almost singlehandedly created the Boston comedy scene. One of the comics he helped discover was the very young Bobcat Goldthwait (whose nickname was inspired by Crimmins’ at the time, Bear Cat). 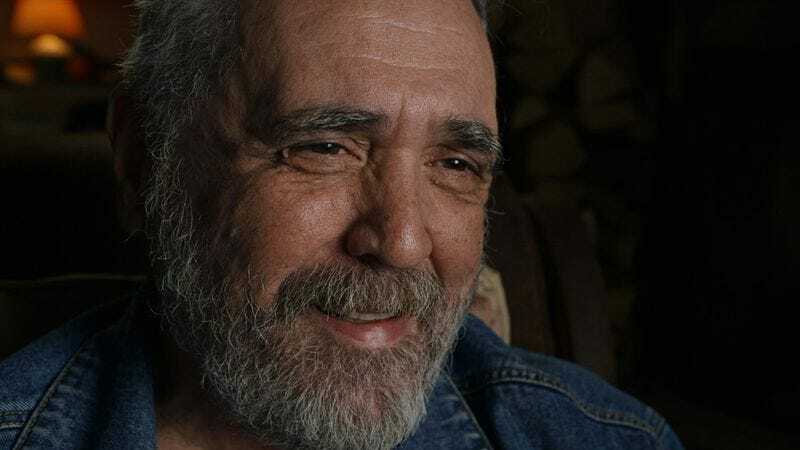 Now Goldthwait has returned the favor by directing this biographical portrait, which reveals Crimmins as a figure who’s lionized by his peers, despite having been largely forgotten by the general public. As in the narrative films he’s made (Sleeping Dogs Lie, World’s Greatest Dad), Goldthwait stays behind the camera, but his long personal history with Crimmins provides him with access that no other filmmaker would likely have been able to get, given how ferociously the man guards his privacy. Even in his stand-up days, Crimmins was notorious for being outspoken, in the tradition of comics like Mort Sahl and Lenny Bruce. Most of his material was political in nature, tackling hot-button issues like gun control and Reaganomics; he was blithely unconcerned about who his cutting, unabashedly left-wing jokes might offend. Over time, however, he grew more and more disgusted with the entertainment machine, and eventually wound up retreating to a cabin in the woods, where he still lives today. When he’s emerged over the past 20 years, it hasn’t usually been to perform, but to testify before Congress about how AOL’s chatrooms were being used as a playground for pedophiles, or to support Cindy Sheehan’s campaign opposing the Iraq War. Basically, he transformed himself from a comic with an activist bent to an activist with a particularly bitter sense of humor. Goldthwait juxtaposes copious archival material with present-day interviews, in which Crimmins, still a gadfly at 62, opens up about every aspect of his life. Goldthwait’s handling of one specific aspect backfires, unfortunately. In theory, it shouldn’t be a spoiler to mention that Crimmins was a victim of childhood sexual abuse; it’s something he’s discussed publicly at length, and it fuels his deep-seated anger about abuses of power, especially where kids are involved. But Call Me Lucky treats this information like a big plot twist, withholding it until roughly the film’s midpoint. Goldthwait talks to David Cross, Patton Oswalt, Marc Maron, and other comedy greats, all of whom gush about Crimmins’ genius (to the point where it gets a little overbearing, frankly). But several of them also make sober allusions to some tragedy in Crimmins’ past, and their remarks have clearly been edited so as to preserve the surprise. Using this sad history as a suspense tactic and sudden bombshell feels unseemly, and not in the productive way that characterizes Goldthwait’s previous exercises in deliberately poor taste. Absurdist satire is one thing; a real person and his real pain deserve a less crass, commercial approach.